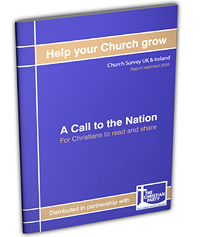 The results of the nationwide Church Survey (www.churchsurvey.co.uk) published in 2005 revealed that many congregations want Bible based sermons and teaching. They want to know what the Bible itself states and proper guidance on how to apply its teaching to their individual lives. This explains the popularity of courses such as “Alpha” and “Christianity Explored” and ordinary Bible study groups. The Survey also revealed the dismay of many that “the church” in the UK often failed to stand up for Biblical morality and that some ministers amazingly didn’t believe in such things as the Virgin Birth, the Bodily Resurrection of Christ or His Second Coming. Again many were dismayed that some clergy approved of behaviour which is repeatedly forbidden in the Word of God. The purpose of this article is to answer that question in a simple manner and place the present position of the UK churches in their proper world context. The idea of spiritualising things away in Scripture, (rather than taking them factually) or treating the Bible as merely an unreliable collection of sayings, is not a modern concept. 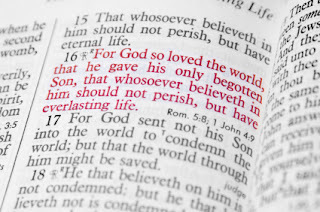 Liberal theology as it has come to be called was around during the time of Our Lord and it is interesting to read how Jesus responded to this concept. The liberal theologians in the time of Jesus were of course the Sadducees. They thought that the stories and teachings of the Old Testament were untrustworthy and often needed to be “spiritualised” rather than taken literally. This view, for example, led them to reject the idea of an afterlife and the existence of angels. (See Acts ch 23v8 and Matt ch 22v23). The existence of an afterlife, the promise of future rewards for the righteous and future punishments for the unrepentant, as well as the existence of good and bad angels are all plainly taught in the Old Testament. The Sadducees however thought that passages of Scripture which taught these things should be regarded figuratively rather than literally and spiritualised away their meaning. Before answering their specific question Jesus makes a very significant twofold comment about their theological stand point. First of all He rebukes them for “not knowing the Scriptures” and then secondly for not accepting “the power of God”. In other words they didn’t understand what Scripture actually taught and they doubted God’s power to have done such things in the first place. Although Jesus condemned their view and position on Scripture, this notion of spiritualising events and regarding the Bible as being unreliable never fully disappeared. The theory came to prominence again in the theological colleges of Germany in the late 19th century then gradually filtered into the theological colleges in Britain in the early 20th century. This liberal attitude towards Scripture gradually weakened the beliefs and morality of many in Germany and in part explains why Nazism found fertile ground in the resulting spiritual vacuum. It also explains why (with notable exceptions) the response of the German churches to Hitler was so muted. Today church ministers in Britain (of whatever denomination) can generally be divided into two main groups. One group follows the traditional view that what is written in Scripture is a Divinely Inspired accurate summary of God’s dealings with the human race and is to be accepted at face value. According to this view for example, because it plainly records that Jesus was born of a Virgin and Bodily Rose from the Dead etc, this is exactly what happened and this is actually what it means. 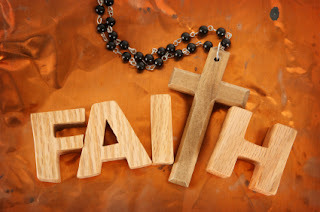 The other group rejects this notion of taking the Bible literally and believes that what is written is unreliable and often needs to be taken in a figurative or symbolic sense. According to this view, for example, they might suggest that Jesus wasn’t literally born of a Virgin and that it is recorded as such only to get across the idea that He was in some way a special and unique Person. Then again, perhaps the writers really believed in a Virgin Birth but were misguided in this idea. Or again, regarding sexual practices clearly and repeatedly forbidden in Scripture they might take the view that such passages only referred to the people of that particular time, rather than people today, thinking that some of these moral laws were “culturally determined”. At the moment clergy who belong to this second group are so many in number in the UK that churches in other parts of the world such as Africa and Asia often regard British Christianity as being in a state of moral and spiritual meltdown. 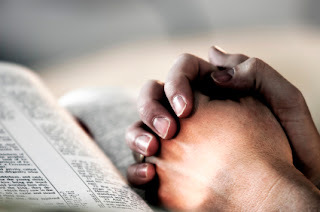 They feel that many have “departed from the faith once delivered to the saints” (Jude v3) and that the spiritually “lukewarm” condition of many UK churches can be likened to the “Laodicean church “ which is described in Rev ch 3 vs 14-19. This also explains why UK clergy often give a muted or divided response on matters of belief, doctrine and moral behaviour. The Church Survey revealed that congregations rarely hear sermons defending and explaining the fundamental teachings of Christianity. Rarely is it explained what the Bible teaches about the need for personal salvation, the promise of the Second Coming of Christ and the strict moral standards God requires us to uphold in our personal lives. There is almost complete silence concerning the terrifying judgement Jesus came to save us from, the fact that we are all sinners needing salvation and the truth that some day everyone of us will stand before the Judgement Throne of Christ. For this reason, an increasing number of African Christians are coming over to the UK acting as missionaries. They come because they feel that British Christianity needs to be restored to it former beliefs in order to avert a spiritual catastrophe on a national scale. 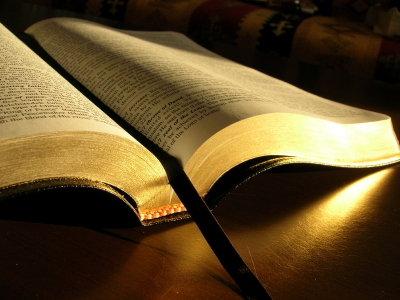 Those who don’t believe that the events and teachings of Scripture are accurate and who reject the idea that they were written by individuals specially inspired by the Holy Spirit for that particular purpose, have yet to adequately answer two profound questions. Firstly, if the Bible really is unreliable why then are the prophecies of Scripture being accurately fulfilled ? Many of these prophecies have already come to pass even though they were written hundreds and in some cases thousands of years before the events they foretold. Such accurate predictions are a sign of Divine inspiration rather than mere human thought. Faultlessly predicting events which are to happen hundreds of years in the future is utterly impossible for the human mind unless it is being influenced by the Holy Spirit. Liberal theologians ignore these signs of Inspiration by believing that these prophecies were written after their fulfilment. The error of this view however is easily exposed by examining prophecy that has been fulfilled in modern times. Take for instance, the Biblical prediction that Jerusalem would be liberated in 1917 and that after their worldwide dispersal the Jews would re-establish themselves as a nation. As the article “Amazing Prophecy Fulfilled” points out, the exact year of liberation was predicted long ago in the Books of Leviticus and Daniel and the method of liberation was actually described by Isaiah when he described something similar to birds flying over the city. These turned out to be General Allenby’s planes. Or what about the prophecy concerning the invention of weapons of mass destruction? In Matthew ch 24v22 Jesus predicted that a time would come when human beings would have the capability to destroy all life on the planet. This prophecy has been part of the text of Scripture for 2000 years. It wasn’t just added a few decades ago after the event came to pass with the invention of nuclear weapons. (See articles on “Israel and Middle East in Prophecy” for numerous other examples). Secondly, treating things as being unreliable or merely figurative in Scripture raises the profound question; If God didn’t mean exactly what He says in Scripture then why didn’t He say what He really means? The liberal theory of spiritualising the events and teachings in Scripture by regarding them as merely symbolic raises an unanswerable question. If God really doesn’t want us to take events which are clearly recorded as being literal, as literal, then why doesn’t Scripture say as such ? If God doesn’t want us to regard certain sexual and moral commandments as being for all time but just for a particular age and culture, then why doesn’t Scripture make that clear? And if God really doesn’t want us to view the prophecies He gave as having a literal fulfilment (such as His promise of the restoration of the Jewish nation which has now literally come to pass, the Second Coming of Christ, the Battle of Armageddon and the Day of Judgement) then why doesn’t He say so? Put simply, if God doesn’t mean exactly what He says in Scripture then why didn’t He say just what He really means? Scripture clearly teaches that Jesus was born of a Virgin and Bodily rose from the dead. For some liberal theologians to interpret these events symbolically rather than literally, arguing that they are merely literary techniques to say that His life was special, raises the question; why didn’t the Bible truthfully record what really happened and explain that He was nonetheless special? Liberal theology brings total confusion. What does one take as factual? What does one regard as symbolic? What is sinful? What is permissible? How can we know what sexual and moral standards God wants us to maintain if its not made plain? What has God done in the past with the human race? What does He intend to do in the future with us? What is God really like in character? What doctrines are we to believe? 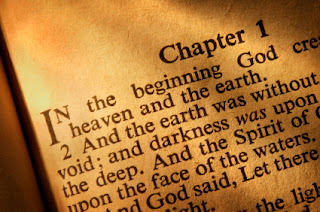 All these questions reveal why God gave us Scripture in the first place. In order for us to know the answers it was necessary to provide humanity with a Divinely Inspired accurate “instruction manual”. This is exactly what we have in the Bible which proves its authenticity and Divine Authorship by having a third of it deliberately written in the form of prophecy and predictions. As these prophecies get fulfilled one by one they provide a continuous witness and sign to each new generation of the trustworthiness and truthfulness of the Word of God. Scripture repeatedly refers to its miraculous origin. Take 2nd Tim ch 3v16 “ All Scripture is given by the inspiration of God and is profitable for doctrine, for reproof, for correction and for instruction in righteous.” And 2nd Peter ch1 vs 19-21 “no prophecy of Scripture is of any private origin … but holy men of God spoke as they were moved by the Holy Spirit.” See also Luke ch 24 vs 25-27 and vs 44-45. Likewise in 2nd Samuel ch 23 v2 King David stated “The Spirit of the Lord spoke by me and His word was on my tongue” (This explains, for example, how he was able to provide a vivid description of the Crucifixion in Psalm 22 vs 16-18 one thousand years before the event). In John ch 10v35 Jesus declared “Scripture cannot be broken” and in ch 14 v 26 promised the disciples that the Holy Spirit would inspire them by “bringing to [their] remembrance all the things that I have taught you.” Regarding the Epistles, St Paul the Apostle made it abundantly clear that the moral commandments and teachings he was delivering came by inspiration from God. In 1st Cor ch 14 v 37 he warned “If anyone thinks himself to be spiritual, let him acknowledge that the things which I write to you are the commandments of the Lord.” And in 1st Thess ch 4 vs1-8 he concludes his teaching on morality by adding “he who rejects this does not reject man but God.” It has further been estimated that over 2700 times the writers of Scripture make it plain that what they are stating doesn’t come from themselves but from a Divine Source by repeatedly using the phrase “Thus says the Lord”. Owing to its prophetic nature it comes as little surprise to discover that Scripture also predicted the rise of liberal theology itself. There are several references to this and what makes the subject so sad is that liberal theologians are actually fulfilling the prophecies of the very Scriptures they deny. See 2nd Tim ch 4vs 3-4 “For a time will come when they will not listen to sound doctrine …and they will get teachers who will turn their ears aware from the truth and be turned aside to believe in fables.” 1st Tim ch 4 vs 1-3 “Now the Spirit expressly warns that in the latter times some will depart from the faith, giving heed to deceiving spirits…” Jude vs 16-19 “beloved remember …how we warned you that their would be mockers in the last days who would walk according to their own ungodly lusts.” 2nd Peter ch 3 vs3-4 “know this first that scoffers will come in the last days walking according to their own lusts and saying ‘where is the promise of His Second Coming..” 2nd Peter ch2 vs 1-3 “There will be false teachers among you who will secretly bring in destructive heresies, even denying the Lord Who bought them.” See also 2nd Tim ch 3 vs 1-9 This passage mentions that many of these people will “have a form of godliness but will deny its power”. Verse 7 also describes studious people who are very intellectual but who don’t perceive the truth. In Matt ch 24 along with the predicted increase of wars, famines, earthquakes and diseases, the predominance of false religious teachers is specifically mentioned. (v 11). Fulfilled prophecy reveals that the writers of Scripture where neither mistaken nor deluded in what they were inspired to record. The witness and sign which comes from this fulfilled prophecy is plain for all to see. No wonder Christians in many other parts of the world look upon the church in Britain with such sadness and dismay. “Historical Criticism of the Bible” by Prof Eta Linnemann. Baker Book House. She was a liberal theologian who studied under Rudolf Bultmann. Later in her academic career when confronted with the evidence against a liberal approach to Scripture she abandoned it altogether. “Is There a Synoptic Problem?” by Prof Eta Linnemann. Baker Book House. “Scripture and Truth” Editors DA Carson and John Woodbridge. Baker Book House. “Hidden Treasures in the Biblical Text” by Dr Chuck Missler. Koinonia House. As the title suggests this book examines subtle discoveries lying beneath the text of Scripture. “The Exodus Case” by Dr Lennart Moller. Scandinavia Press. This book looks at archaeological discoveries verifying the truth of the events given in the Old Testament.